APFI interviews Mr. Juan Garcia, Product Manager (Communication) at VEGA regarding the latest developments from VEGA and his views on the upcoming industry trends for 2019. 1. Could you share with us the latest development from VEGA? We are very enthusiastic about our 80 GHz Radars and VEGAPULS 69, which are designed specifically for level measurement of bulk solids. While in terms of the latest generation of radars, the VEGAPULS 64 is able to detect liquid levels accurately and it possesses the smallest antenna of its kind as well as exceptional focusing. This enables it to deliver outstanding performance every time. Additionally, we are also investing in connective technologies such as special wireless communications in the form of bluetooth and GSM/GPRS/UMTS. 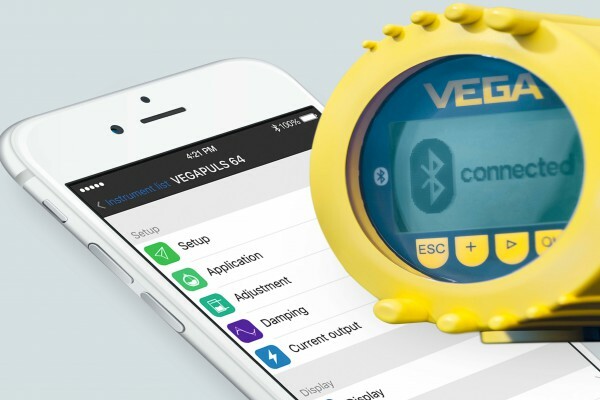 With the low energy bluetooth used in our sensors combined with a Bluetooth-Gateway, VEGA is offering possibilities to have access to the intelligent sensors available today. The innovative PLICSCOM display and adjustment module is mounted directly on the sensor for measured value indication, adjustment and diagnostics. This optional Bluetooth feature allows any transmitter to be adjusted wirelessly from a distance of approximately 25 meters. Thus, it is ideal for use on high tanks or inaccessible areas and offers convenient, safe sensor adjustment through a smartphone, PC or tablet, even in bad weather. It also uses secure connection via PIN and encryption, and offers compatible retrofit to all VEGA plics sensors manufactured since 2002! Meanwhile, the PLICSMOBILE Series 80 is an external GSM/GPRS/UMTS radio unit for wireless transmission of measured values and for remote parameter adjustment of HART sensors. Typical applications are measured value transmissions with mobile vessels, battery-operated level measurements and deep well measurements. The PLICSMOBILE T81 is particularly suitable for data exchange with the web-based visualisation software, VEGA Inventory System. It is an economical solution for measured data enquiry and remote parameter adjustment of up to 15 HART sensors. It offers an increased service life with battery or rechargeable batteries through integrated power management. 2. So far, which of your solutions has the most impact in the region? Why? For level measurement, the 80GHz technology of the radar sensors will provide advantages everywhere in the world. For example, VEGAPULS 69 is able to measures bulk solids and even in dusty conditions, it will provide precise readings. Dust in the silo or build-up on the antenna will have no effect. This radar sensor also features unrivalled focusing at a frequency of 80 GHz. On the other hand, VEGAPULS 64 is unaffected by condensation or build-up on the antenna, and it will still accurately detect the liquid level for both small and large vessels. Additionally, using wireless technologies like bluetooth or GSM/GPRS/UMTS opens up possibilities to have access to sensors parameters and diagnostics in the field without the need of using wired infrastructures. This is because, there are a lot of areas where cable is not possible or not yet installed. Thus, wireless solutions have had a big impact in the region. 3. Could you share with us some challenges faced by VEGA in helping customers to achieve their digitalization goals? The sensors are already intelligent and there is a huge installed base in the field that are using either HART-, Profibus PA-, Foundation Fieldbus- or Modbus- interfaces. However, there is often no real access due to missing infrastructure. This, in my opinion, is one of the challenges. Another challenge is the location to store all these information coming from the sensors. In the past, individual programmes like asset management tools were used. With IIoT, we are in a networked world where cloud based visualisations tools will gain more and more importance. 4. 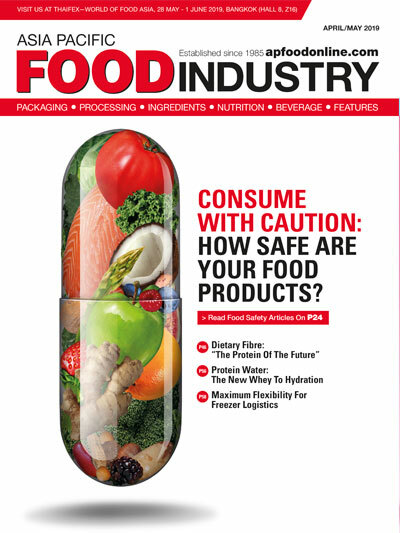 What do you think is the key industry trend to watch out for 2019? All the new possibilities around the IIoT will be a trend. VEGA already offers solutions based on bluetooth, GSM/GPRS/UMTS and vendor managed inventory tools like VEGA Inventory System. We will see increasing possibilities specially based on having more access to the parameters and diagnostic values of the sensors. 5. Moving forward, what can we expect from VEGA in South East Asia in the next five years? VEGA will continue offering optimised sensors used in our main business of level and pressure measurement. While in terms of connectivity, we will have a better access to the parameters and diagnostic information using trends like IIoT-Gateways. Similarly, there will be new possibilities in the areas of sensors to “business values” with IIoT. We will also continue with myVEGA as a cloud-based portal providing access to all the services for VEGA instruments and functions like the Keychain management for network access of installed devices (PINs & Codes), will be expanded. Additionally, we will be launching vCare. This has permanent recording function of device status data in the VEGA cloud and provides the customer an easy access to device data via mobile devices or the Web browser, as well as improved maintenance through system recommendation in advance.